All the fun at a set price! Welcome to iTopIt! Your self-serve frozen desserts shop in Colorado Springs. 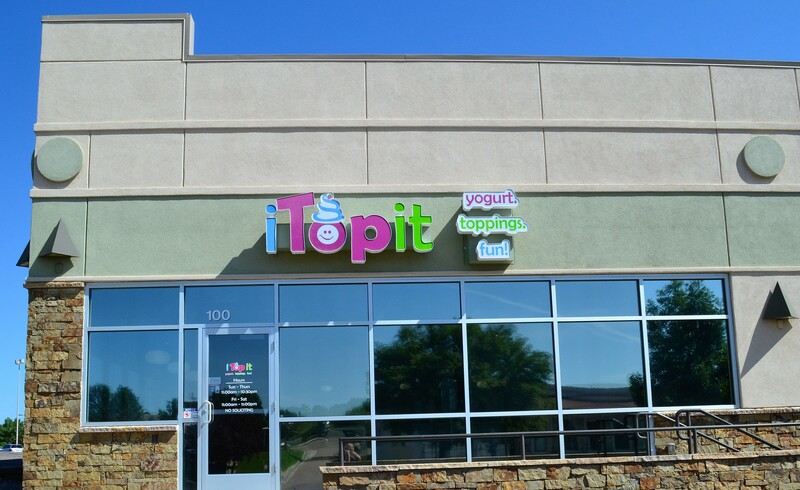 iTopIt was the first self-serve frozen yogurt restaurant to open in Colorado Springs back in 2011, and we are still the best! At iTopIt you choose from an assortment of 24 yummy frozen dessert flavors, including frozen yogurt, sorbet, and gelato. 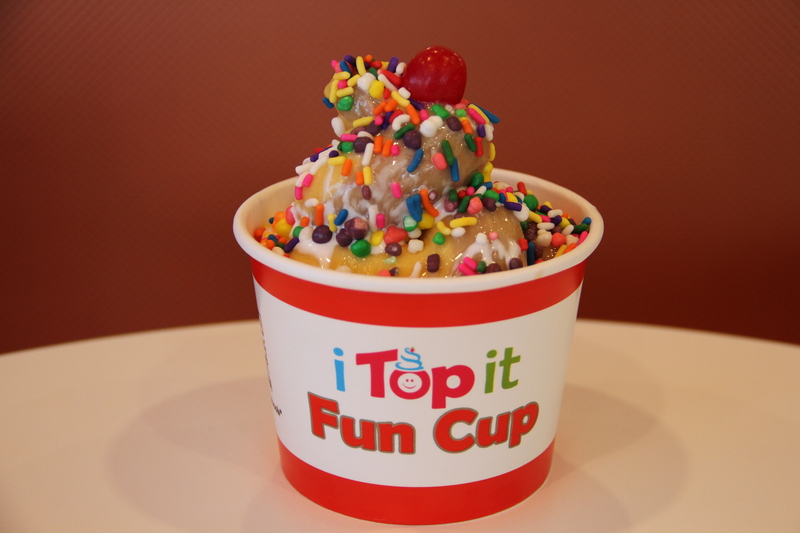 You get to fill your cup yourself, and then you top it with your choice of over 70 toppings. Oh, and don’t miss the starter-toppings bar! 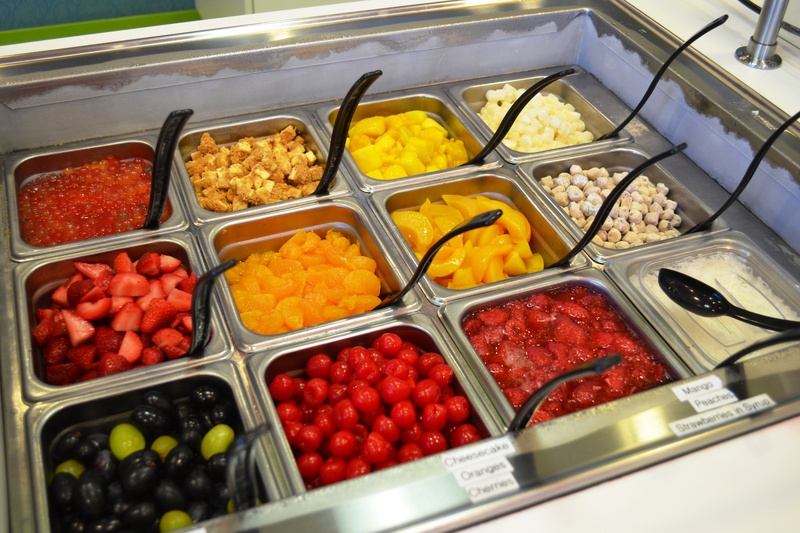 Our toppings selection includes fresh fruits, candies, chocolates, nuts, cereals, cookies, brownies, hot fudge and so much more. You can make it as decadent or as healthy as you desire. When you finish creating your own cup, you pay at the register, and enjoy! We offer both pay-by-weight and the iTopIt Weightless Fun Cups. Our Weightless Fun Cups come in three sizes, with no weight limit, and they are available every day. iTopIt is fun for the entire family, and our mission is simple: to deliver a consistently remarkable customer experience, so that our customers may create lasting family memories. iTopIt is a locally owned and operated business dedicated to serving Colorado Springs, Fountain, Monument, Fort Carson and neighboring communities. Visit at iTopIt today, and see how you top it! 1610 E. Cheyenne Mountain Blvd.